Race Plan: Inhale Calm. Exhale Smile. Inhale a calm feeling into your body. Exhale a smile to yourself. These were the final thoughts of my yoga practice last night. I left class feeling fluid, feeling revived, feeling relaxed, and feeling confident (and wishing there was another class tonight because my body was so incredibly tight). I left class remembering that the reason I do anything in life is to feel the rewards of my breath. I’m carrying this feeling with me into my race on Sunday. As race day approaches, I’ve found myself worrying more and more about the time on my Garmin and less and less about enjoying every step and every breath along the path. The big 3 hour black cloud has been hanging around for a few weeks now. It appeared after my first 7 mile training run, and it has become more threatening with each training run. …I hope no matter the time it takes you that you really enjoy every step, Kristy! Thank you Amy for the gentle reminder I so desperately needed. Who cares about the time on the clock? I honestly do not care what my finish time is for this race, but somehow I fell into the habit of monitoring every second of my run. 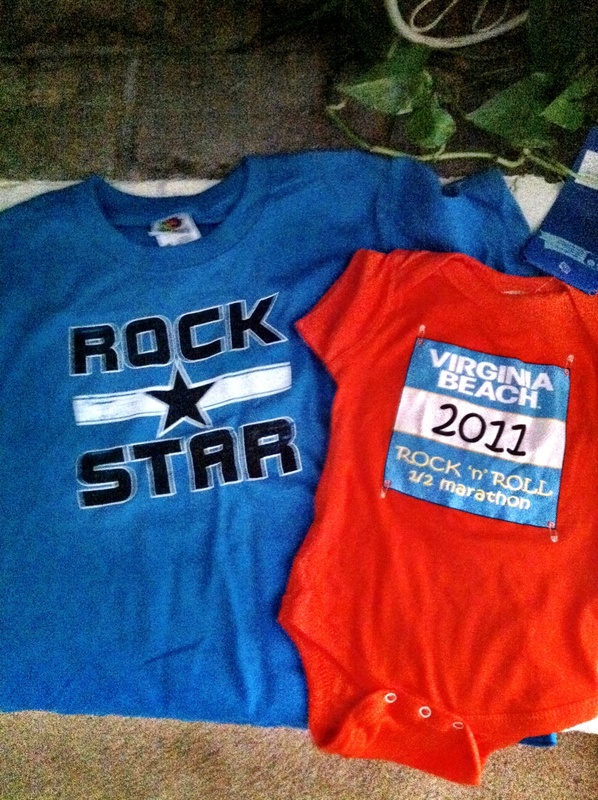 I am running a half marathon pregnant. Three years ago I never thought I’d run a half marathon. 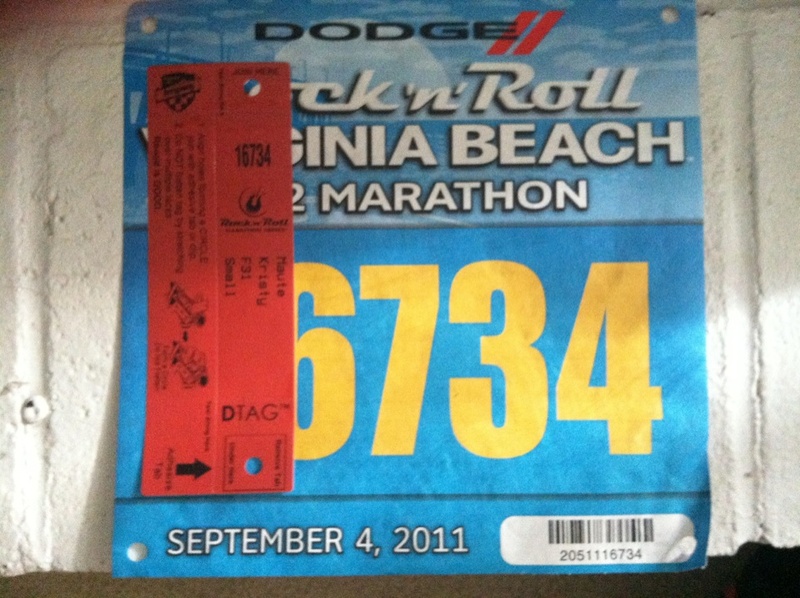 Five months ago I was unsure if running this race would even be a reality for me. Today I am thankful that I can run on Sunday. On Sunday I plan on enjoying ever inhale and every exhale. I plan on enjoying every step of the way. I’m not staring at my Garmin. I’m going to inhale calm. I’m going to exhale smiles. And I’m going to cross the finish line. 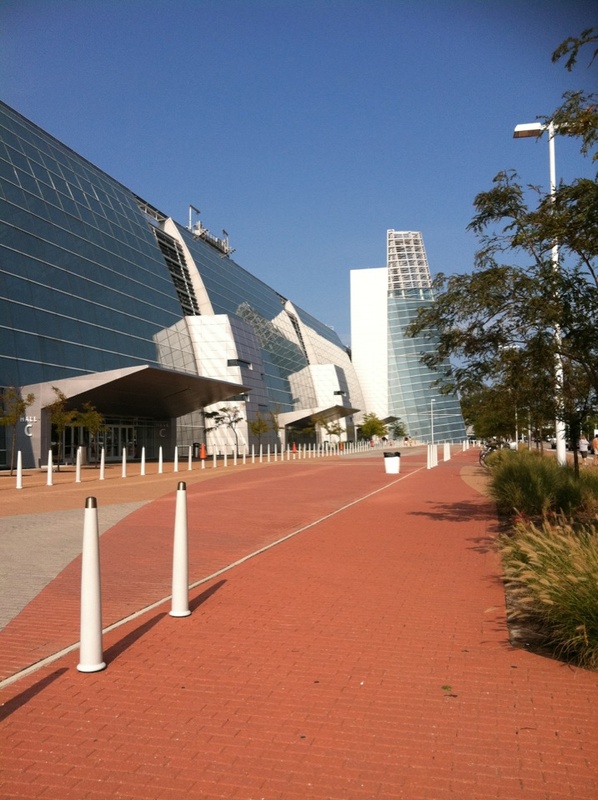 With my new race plan firmly in place, I headed to the expo this afternoon to pick up my race packet. Nothing makes a race feel more official (besides the start line, the race itself, and the finish line) than a race expo. The energy in an expo is enough to motivate anyone to run a race. My husband, who so kindly went with me to enjoy the fun, even said he’d buy himself a pint glass WHEN he runs the race himself. Maybe, just maybe, a little seed has been planted. I picked up my bib, my technical t-shirt and my goody bag. We shopping in the race area. We window shopped among the vendors. 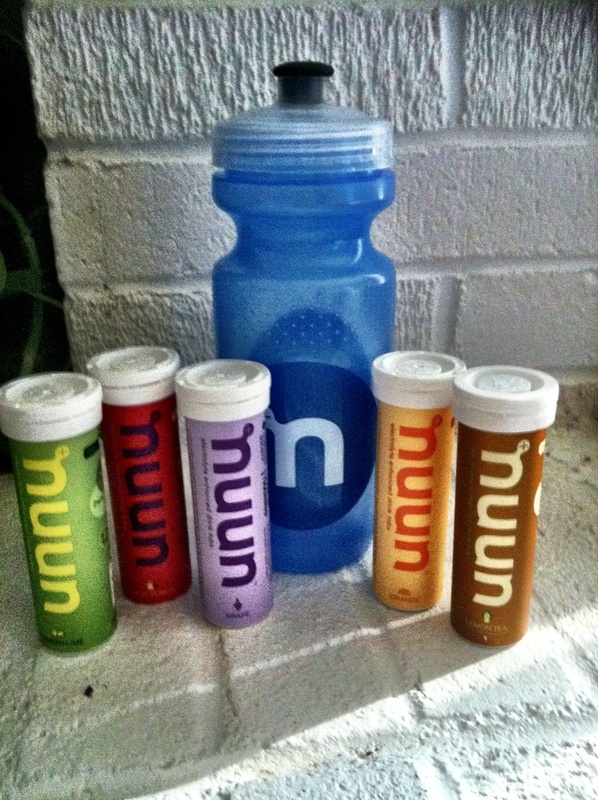 We bought some Nuun. How could I not after Tasha won the giveaway I was supposed to win on Megan’s blog. I also stalked the Nuun team at Hood to Coast. The girl working the expo ran the race with their team. Yes. I was jealous. Yes. I’m entering the lottery this year. Maybe I can talk a few of you into joining the team if it’s my lucky year. We also said hi to my the great girls with the American Cancer Society. I can’t wait to train/fundraise/race with this awesome group of people again next year. If you are looking for a charity team for a race, I’d highly recommend this organization. My experience last year was amazing. Here are a few of the goodies we brought home with us today. Big Brother T-shirt. Little Brother Onesie. Too cute to leave behind. 5 for 20 bucks - I was sold. Roughly 37 hours until I’m lined up at the start line. Inhale Calm. Exhale Smile. Good luck Kristy! You will do awesome! just started following your blog and wanna wish you lots of luck and have lots of fun too! reading your blog and other cool preggo chick blogs who are still staying active inspires me to keep on running as the belly keeps on growing. 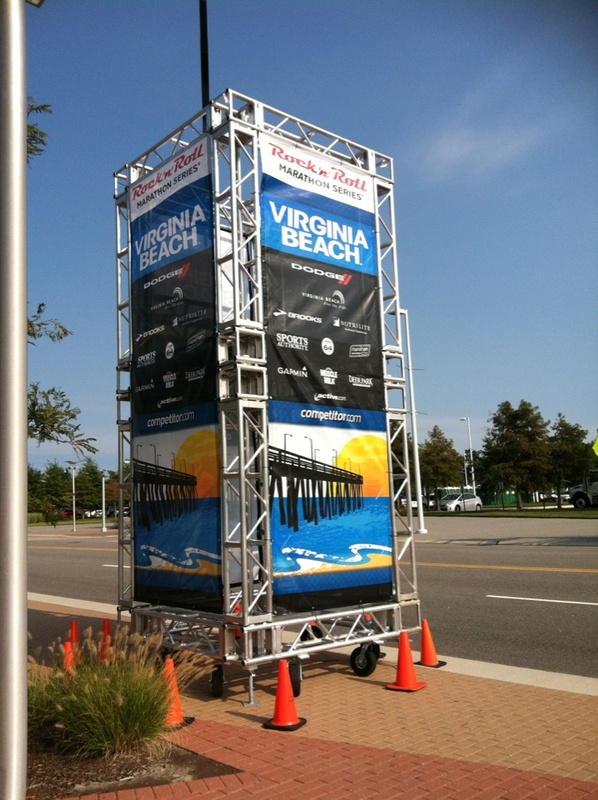 enjoy the half marathon because you will rock it! Thank you so much for reading Alice. I love when new readers introduce themselves! Congrats on your pregnancy. I LOVE the anticipation and excitement at an Expo right before a race!!! You make me wish I was racing this weekend!!! Good luck! I cannot wait to hear all about it!!!! Me too! Somehow running shoes, tshirts, GU, earbuds, etc all look so much more exciting at an expo!